We were thrilled to see this story mention the costs of the treatment, its lack of FDA approval, and the fact that insurance won’t cover it. But that was just one sentence. The rest of the story is so heavily focused on the experiences of one patient who believes she was successfully treated through stem cells that readers would understandably be driven to dial up this doctor based on scant evidence, no real understanding of the potential benefits, no independent assessment of the treatment, no comparison to alternatives, and no mention of risks. 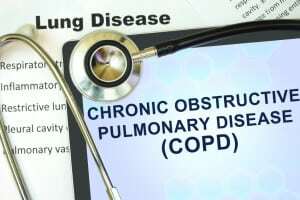 Chronic obstructive pulmonary disease is very common. There are many out there who might be affected by this type of poor reporting. Costs are presented here as is the fact that the treatment Is not covered by insurance, and so we are marking this as a passing rating. But the cost information is framed as if it’s a bargain: “costs less than $8,000” and is “well worth the price.” That’s language that has no place in a story about an unproven treatment. There are two big problems with a claim like this. First, the patient pool could be three patients, two of whom were treated successfully for a year. Second, the findings have no objective, independent measurement of improvement and no independent verification. No published studies. No peer review. Not even a group of collaborating physicians seeing the same results from different vantage points. There is no mention of risks in the story. Instead, the story repeats claims of amazing results in one patient. The story skirts any objective evidence – positive or negative – and opts instead to present unproven claims from the physician performing the treatments and the claims of one patient. It says, helpfully, that stem cell treatment for COPD “isn’t approved by the Food and Drug Administration (FDA) or covered by health insurance,” but it should have explained why that is. The story presents a single patient with severe symptoms, making it sound like everyone with COPD could become incapacitated unless they resort to this extreme, untested treatment. It also doesn’t mention that most COPD can be avoided by not smoking. There are no independent sources in this story, and it would have benefited from them. There is no real comparison of alternatives here. Stem cell therapy is the unproven treatment, and it is given all the air time. Traditional treatments for COPD are skipped or presented as failures in the case of one patient. As Calick ran out of options, she sought help from Dr. David Borenstein in New York City. Borenstein, an integrative medicine physician, is one of numerous doctors in the world who is using stem cell therapy to treat various diseases. There is no FDA-approved stem cell treatment for COPD or for nearly anything beyond the blood-related conditions that Hemacord is supposed to treat. And that’s because there is very little proof that stem cells are safe and effective treatments. The story makes claims that this is a silver bullet for COPD, but it does not establish those claims. The main novelty here is the incredible naivete of the coverage. We couldn’t find any specific news release that this story may have relied on, but since there are no independent sources, we can’t be sure that the story definitely wasn’t based on such a release. We’ll rule this Not Applicable. And we note that the story is clearly being used to promote the treatment center that is its focus. Thanks for your comment. I think it’s all well and good for these centers to collect data as you state, but has that data been published and independently reviewed? That’s what patients need to make informed decisions about their care. And journalists need to help patients by presenting the data, or, if it doesn’t exist, pointing that out to readers and asking why that’s the case. CSN is finishing up a 1000 patient safety paper that will show safety and efficacy data spanning the spectrum of medical conditions, I just finished the stratification part of the one-year safety data points yesterday (woo hoo), our Ph.D. should finish and be ready for peer review in a months time. I believe the reason more companies like Cell Surgical Network do not post data is due to them being afraid of the FDA. We at CSN believe in working with State medical agencies and the FDA to ensure patient safety and provide better care than some traditional medicines allow. Cell Surgical Network would not have grown to over 80 Treatment Centers worldwide if our SVF procedure didn’t work; physicians wouldn’t stay with a Network if that Network were false hope. With the Cell Surgical Network, you have real science at work, every CSN affiliate around the world using the same equipment, same enzymes, and following the same protocols. Show me another clinical trial that can boast that? We are not a tiny group of scientist in one lab, doing one procedure 10,000 times then write a paper. Our physicians are providing better care to their patients now than they were not able to do a couple of years ago. I’m very glad to hear that you are planning to submit data on the safety and efficacy of this procedure. But this story is promoting the procedure NOW to desperate people who have no idea whether it works or not. Vague assurances that the network’s physicians wouldn’t offer the procedure if it didn’t work are no substitute for peer-reviewed data. 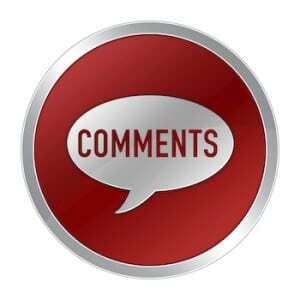 Like the story we criticized, your comment is all promotional talk with no evidence to back it up. And that’s not helpful to anyone. Fox is making the job of patient advocacy groups who try to protect vulnerable patients from these definitely costly and potentially dangerous procedures much harder. Because this type of autologous stem cell treatment is considered (proprietary) commercial intellectual property and there is no body of literature from research studies related to what specifically is included in the cocktail of each provider, it is impossible to know what is actually being injected into patients. Additionally, there is no requirement for informed consent and no IRB oversight because these are not research studies. As a consequence, patients are not told that taking these therapies may make them ineligible for future, legitimate studies of gene-based therapies and/or for lung transplant. Several larger lung disease patient groups have weighed in on concerns with this therapy, including the COPD Foundation. These groups rely on medical and scientific advisers who are recognized experts in the conditions represented, who can be counted on to fully understand the state of the science in all areas related to these diseases. They would not take the word of a single physician of questionable expertise who has a clear financial interest in promoting a therapy. Nor would they rely on testimonial, which any journalist who wants to do quality medical journalism should know is not ‘evidence.’ Not only is this not good medical journalism, it actually does a huge disservice to sick and vulnerable people. This is typical of the Fox sloppy journalism. Still, it shouldn’t be a problem. Who in God’s name would take medical advice from Fox TV?